Visitors Center off 7 Lakes Drive near Sloatsburg. Took the Reeves Brook Trail all the way from beginning to end up the mountain along the Reeve's Brook, which the trail is named after. From there took the RBH east where it makes a very steep climb up the Pulpit, and where there is a good view. From the Pulpit continued along till the HTS Trail, where we went south towards the Russian Bear. The Russian Bear is a sold cliff wall along the ridge, and the trail skirts around descending on the side of the cliff face. Continued along the HTS past where it meets the Seven Hills Trail, and then veered off continuing with the Seven Hills. From there took a connector path back to the Reeves Brook and back to the trailhead. Pulpit viewpoint - facing southwest. From the viewpoint above the Russian Bear. Torne Valley complex. Facing south. 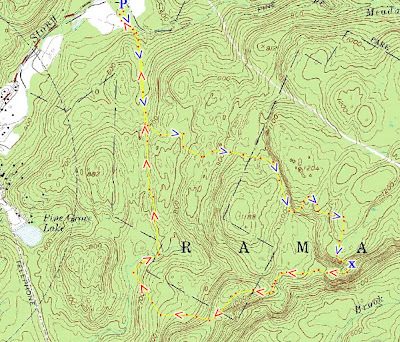 I hiked this exact route today (July). The weather started off cool for this time of year but then reached probably the eighties. This is an excellent trail and very beautiful but I think the views will be better once the leaves are down. My hiking companion, Echo ( a two year old water dog) had some nasty abrasions on her paws from all the rough rock surfaces. 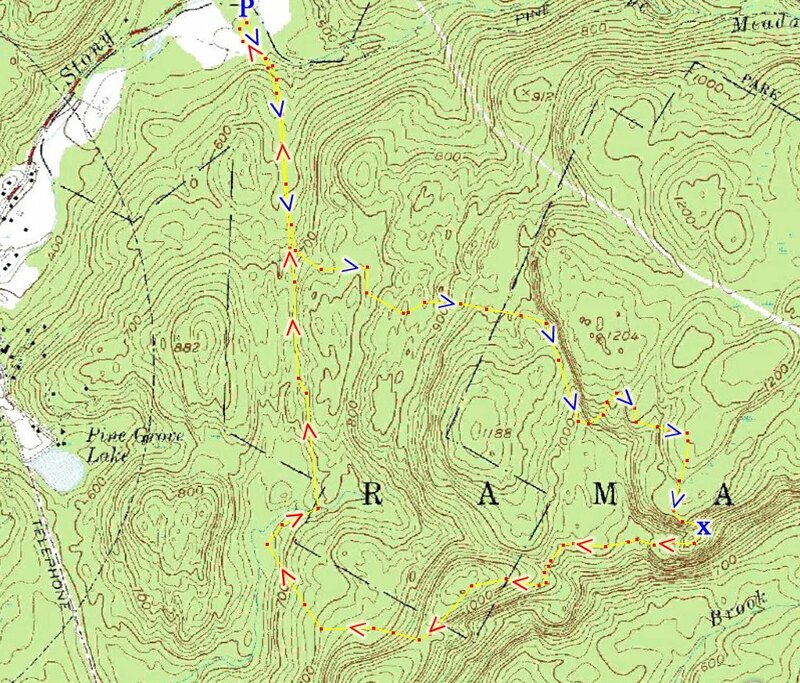 It is a great hike but a little more rigorous than other Harriman trails so I'd advise caution for pets' paws and also recommend trekking poles.